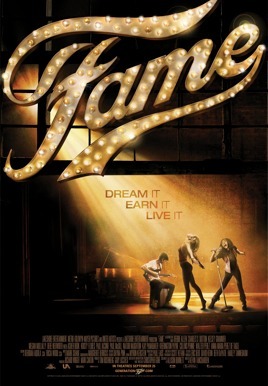 A reinvention of the original Oscar®-winning hit film, Fame follows a talented group of dancers, singers, actors, and artists over four years at the New York City High School of Performing Arts, a diverse, creative powerhouse where students from all walks of life are given a chance to live out their dreams and achieve real and lasting fame…the kind that comes only from talent, dedication, and hard work. In an incredibly competitive atmosphere, plagued by self-doubt, each student’s passion will be put to the test. In addition to their artistic goals, they have to deal with everything else that goes along with high school, a tumultuous time full of schoolwork, deep friendships, budding romance, and self-discovery. As each student strives for his or her moment in the spotlight, they’ll discover who among them has the talent and necessary discipline to succeed. With the love and support of their friends and fellow artists, they’ll find out who amongst them will achieve Fame.